According to a new study from the Bureau of Labor Statistics, falls are the number one cause of work-related deaths in the construction industry. 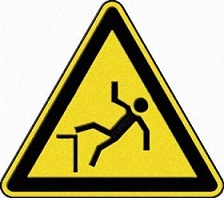 Approximately 40 workers a year die as the result of falls from residential roofs. This has prompted OSHA to revise it’s Fall Protection Requirements [CFR 1926.501(b)(13)] to include the residential construction industry. Under the new guidelines, all residential construction employees working at a height of 6 or more feet above ground level must have a conventional fall protection system such as a personal fall arrest system. If a traditional fall protection system is not feasible, employers must have a specific fall protection plan for each job site. Construction companies have until June 16, 2011 to comply with the new regulations. Don’t panic – we’ve got you covered with our Fall Protection Kits, which come with everything you need to be compliant! Check out our complete line of Fall Protection Products today!